Enrolling in graduate school is a big step in furthering your education. Sometimes, it’s a way to advance professionally. It could also be a job requirement. 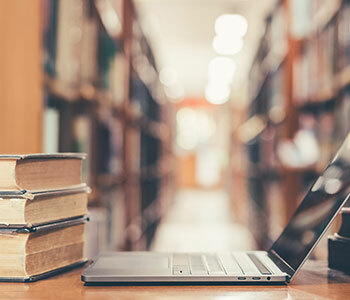 Whatever the reason you have to start graduate school, there are some things you should know as you start your journey as a graduate student that will help you know what to expect in graduate school. Reading: The amount of reading you will have to do in graduate school will be more than you ever did as an undergraduate. In graduate school you will have to be more invested in the material, so reading your assigned readings thoroughly is expected and necessary. Grades: You may have heard the saying “‘Cs’ get degrees”. That may be true in undergraduate programs, but in graduate school, most programs require that you maintain a much higher GPA or you can get dismissed. For example, many graduate programs require that you maintain above a 3.0 GPA to remain in the program. Collaboration: Most graduate programs will require you to collaborate in group projects with your classmates. This is a great thing as it will help you network with others in your field of study. It will also require you to work closely with your professors more so than you ever did in undergraduate classes. Time: Graduate school is a time commitment. Many programs expect you to enroll full-time, which in most cases is nine credit hours (three classes). Aside from classes, you will be expected to spend a lot of time on your assignments and research. This is very time consuming, so you need to be prepared to work on your time management. If you are considering applying to graduate school, just remember it is a big commitment. There is no guarantee a graduate degree will help you advance professionally or get you a higher salary, however if you plan to enroll, going in with the right mentality and commitment will help you succeed throughout your program.